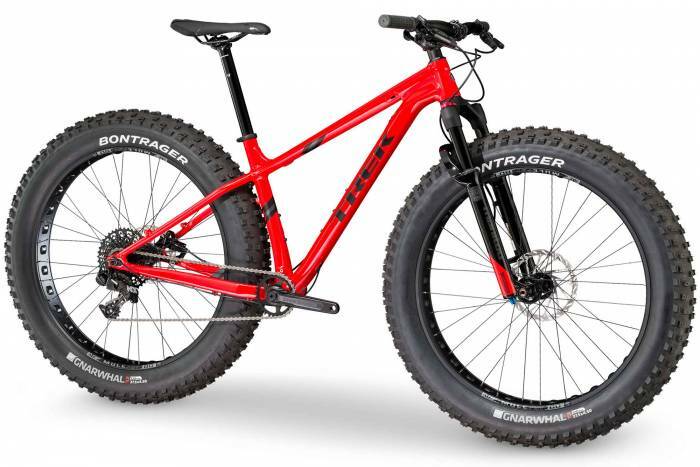 The Trek Farley is a ‘mountain biker’s fat bike.’ According to Chris Farley’s family, it’s also named after the late comedian known for his weight. Last year, Make Him Smile, the company run by Chris Farley’s family to protect his publicity and property rights, sued Trek Bikes over the name of its fat bike, the Farley. Make Him Smile said damages could exceed $10 million. The lawsuit alleges Trek named the bike “Farley” to associate with one of the brand’s favorite “fat” and “loud” comedians. Make Him Smile posits Trek’s executives did this on purpose when naming the bike. It also claims Trek misappropriated Farley’s name and “fat guy” brand of comedy. And this Friday, a judge ordered the case be heard in federal court in Madison, Wisconsin, instead of California, where the lawsuit originated. The judge did so because Madison is closer to the parties involved: Trek, based in Waterloo, Wisconsin, and Farley, who was born and raised in Madison. The lawsuit states Farley spent his entire career building and capitalizing on his “fat guy” humor and acting style. Farley carefully guarded and policed his brand, they say. According to court documents, the case rests on whether Farley was a resident of California upon his death. Farley died in Illinois in 1997. California law governs deceased celebrities’ publicity and property rights, including Farley’s name and image. Trek’s lawyers argue Farley was an Illinois resident at the time of his death. While Trek claims the damages sought are speculative, the bike remains on the brand’s webpage. The Farley is a performance-oriented fat bike costing upwards of $4,800.